Headlining band, Slipknot, began in September of 1995. They are known for their stunning image, alternative-heavy metal style of music, and energetic live shows. 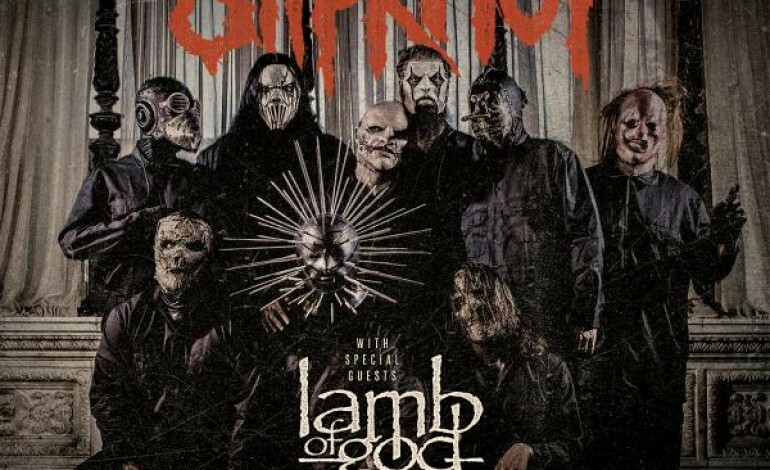 All 7 members wear a matching uniform on stage along with a unique mask to become “more intimate with the music.” Crafting each of their albums carefully, Slipknot has 11 platinum and 38 gold certifications altogether. Guitarist Jim Root explains, “I always prepare for each album as if it’s gonna be the last.” Their 5th and most recent studio album, .5: The Gray Chapter, has reached high praise by critics. Nominated for a total of 8 Grammy Awards, the band once won Best Metal Performance. Coming on to their 20th year as a band, they have been nominated for Artist of the Year at the 2015 AP Music Awards. Lamb of God, one of America’s most popular metal bands, will add to this lineup. Their song, “Wrath,” was #2 on Billboard’s Top 200 chart. The group has announced their highly anticipated album, VII: Sturm und Drang, to be released in July of 2015. The title, meaning “storm and stress,” reflects the record’s theme of the psychology of humans reacting under extreme conditions. The band combines the vocals of Randy Blythe to strong detailed lyrics in creating their music. Adding to this massive summer tour is Bullet For My Valentine. The band also has a new album, Venom, to be released later in 2015. The band began by covering songs by Metallica and Nirvana, but has now moved on to playing shows worldwide. To support on this tour is Motionless In White. This band has headlined for festivals such as South By So What?! and is also nominated for Artist of the Year at the AP Music Awards. To metal fans new and old, this remarkable lineup is one for the books.